The most natural and effective way to connect thoughts and ideas, and to better organise, present, manage, synthesise and create. 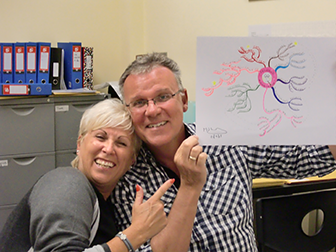 Julie trained with Tony Buzan creator of Mind Maps, and is a Licensed instructor in both Mind Mapping and iMind-Mapping 9©. Her 25 years' experience as an English language trainer (CELTA), working with some of the leading Fortune 500 companies in France as well as the school system allows her to bring to group workshops, or one-to-ones, a real understanding of business needs as well as a passion to help individuals explore and enhance their full creative potential. 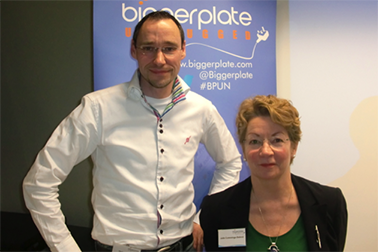 Julie's goal is to bring creative, solution focussed thinking, with the help of Mind Mapping and iMind Mapping, into French corporate business and the general public, using it in one-to-one coaching sessions as well as groups. 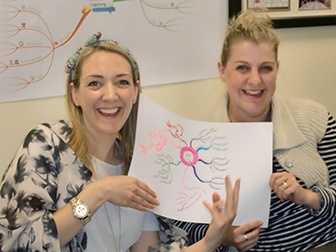 "Julie's coaching in mind-mapping is inspiring. Passionate about this idea / solution seeking tool, Julie is a daily mind-mapper who managed to process in me Tony Buzan's technique which I use as the essential first step in mapping out my novels, searching for solutions to business matters and exploring options ambitions and personal level it was fun, interesting and eye-opening. - I strongly recommend Julie's training!" "This is a brilliant technique and the trainer was just fantastic, providing a dynamic course transferring some new skills which will help me become more synthetic and able to capture more information quickly when needed. I’ll be using the software to deliver presentations to my team and clients and also for project management. This technique is useable immediately. 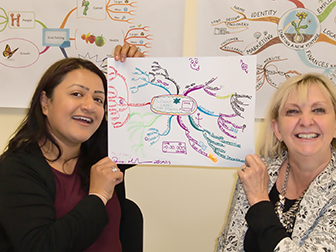 I highly recommend Julie’s services"
"I was already using Mind Maps for my personal life, but this workshop has given me great examples of where I can use it in my professional life." 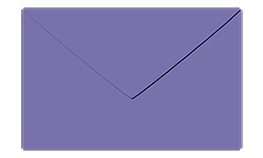 "Excellent course! It was a very enjoyable and productive learning day which will help me approach new concepts, with a holistic two-dimensional approach. I can use the technique to map new projects coupling it with an Internal Awareness campaign so that people can grasp maps fully." A Mind Map is a visual thinking tool involving a distinct combination of imagery, colour and visual/ spatial arrangement. It draws on all cognitive functions, especially memory, learning, creativity and analysis. The technique literally ‘maps’ out your thoughts, using associations, connections and triggers to stimulate further ideas. They extract your ideas from your head into something visible and structured. 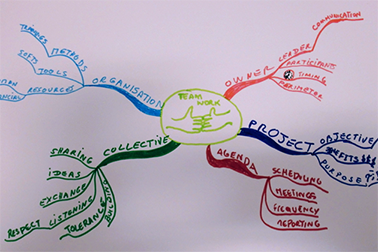 Mind Mapping can be used by individuals and teams across entire organisations for collaborative work, to help optimise, plan and execute successful projects. Thanks to this training, you will see a great improvement in your creativity, inspiration and personal or professional development. 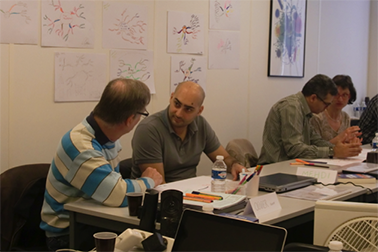 All training is practical, hands-on and as a qualified Mind Mapping TLIs we bring wide experience in the technique. 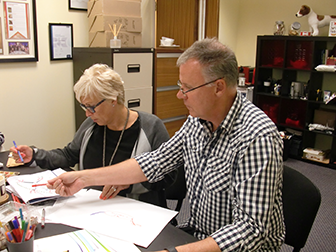 The following two Mind-mapping workshops have proved to be very successful. Includes – All materials, beverages, lunch and Official ThinkBuzan certification. This workshop is designed to build on to Module 1 skills acquired above and is ideally scheduled two or three weeks after the workshop, giving time for delegates to have applied what they have learned and practised using Mindmapping skills within their business environment. The full 1-day on-site workshops have proved a very successful combination and allows time between the modules for delegates to apply Mind-Mapping techniques acquired in Module 1 and the follow-up Module 2 - iMind-Map 9© workshop to consolidate these skills and also get to know and work with iMind-Mapping software applications. Both of these modules are available for in-house training. Please contact us for details. One-to-one training is also offered and can be tailored to individual needs, please contact us for details.